Panel: "Western esotericism and its boundaries: Between discourses of identity and difference" Convenors: Allison Coudert (University of California at Davis), Cathy Gutierrez (Sweet Briar College), Marco Pasi (Universiteit van Amsterdam) In the last twenty years it has become customary for specialists to define esotericism as "western." This has a series of implications that are usually left in the background and not addressed explicitly. The purpose of the panel is to discuss precisely these aspects, namely: Why should esotericism be defined as western in the first place? Where do we want to draw the boundaries of the "West"? Are Jewish and Islamic forms of esotericism to be included in "western" esotericism, and if not, why? Finally, if we want to reject the tag "western," what are the possible alternatives? 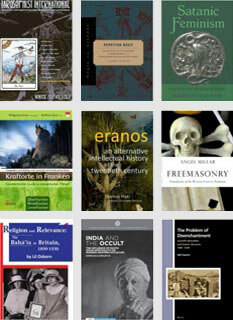 In what way could we open up the study of esotericism to multiculturality? Could we do this by studying possible historical influences or rather by using a comparative approach that focuses on possible common patterns and analogies? 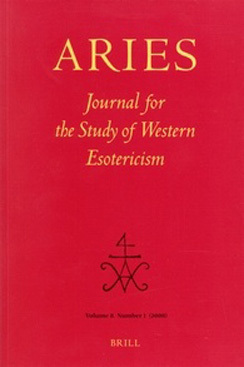 We welcome papers that address the use of esotericism as a theoretical designation in the construction of identity and difference while negotiating geographical and ideological boundaries. Proposals for papers on specific historical strains of esoteric thinking are also welcome, particularly those that address the formation of discourses of difference. Deadline for proposal submission is 31 March 2010 Proposals, together with a brief curriculum, should be sent to Cathy Gutierrez () and/or Marco Pasi ().